Do you want KwiKool KIB1811 Air-Cooler 1.5-ton Commercial Portable Air Conditioner? If you are looking for KwiKool KIB1811 Air-Cooler 1.5-ton Commercial Portable Air Conditioner. You can read the information of KwiKool KIB1811 Air-Cooler 1.5-ton Commercial Portable Air Conditioner at text below. 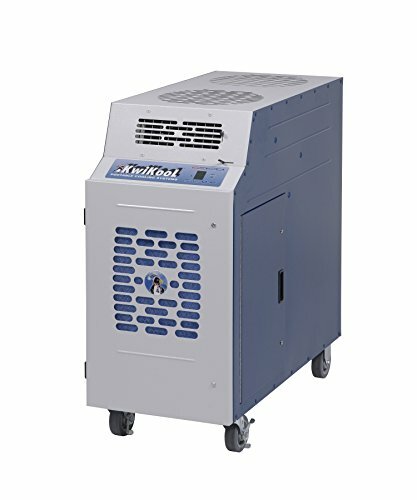 Proudly made in Houston, Texas and perfect for cooling commercial spaces up to 600 square feet, the KwiKool KIB1811 is commonly used in server rooms, offices, and industrial areas and commercial spaced that need big cooling in a small package. Features include continuous operation, a large external condensate tank, multiple fan speeds and a direct-drive fan. Built-in safety features and commercial-grade parts make it a top choice. KwiKool KIB1811 Air-Cooler 1.5-ton Commercial Portable Air Conditioner with high quality product. You can read more details of KwiKool KIB1811 Air-Cooler 1.5-ton Commercial Portable Air Conditioner at text link below.